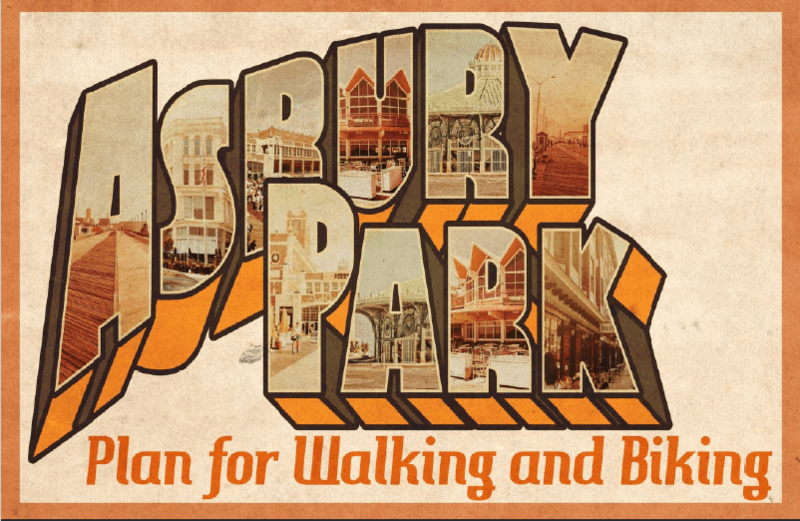 By now most residents of Asbury Park know of the term “road diet”. We have all experienced the bumps along the way as the work continues repairing and upgrading Main Street as we anticipate the final stage of striping the lanes. Many people are familiar with Asbury Park Complete Streets Coalition’s campaign to #SlowTheCars . For the new year, our initiative is to share and educate about the health, economic and cultural benefits of a safe Main Street, and traffic calming measures throughout the city, “Complete Streets” to make streets safe for everyone, especially the most vulnerable: people who ride bikes and walk. 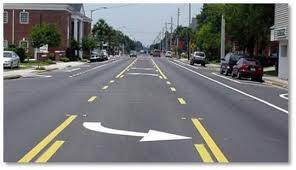 What is a Road Diet? 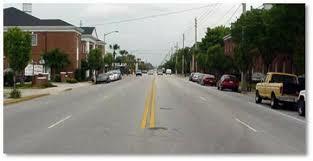 Why the need for a Road Diet? Beyond The Road Diet. The opiod epidemic grabs headlines and gun deaths have brought about calls for regulation. 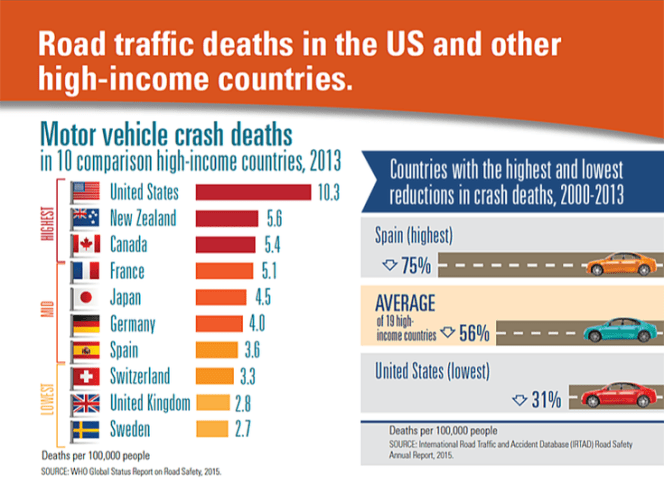 The rate of traffic deaths has continued to rise but little is actually being done in the US to address the problem as a national health crisis. 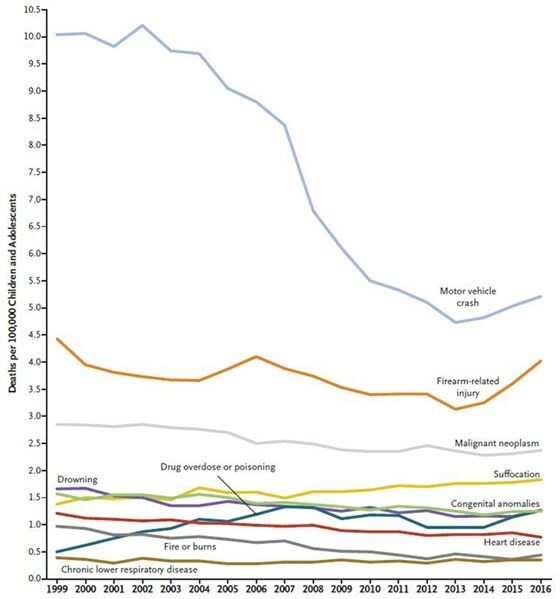 “So while the opioid addiction grabs headlines, cars have quietly remained a leading killer. 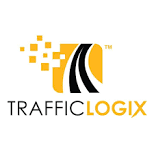 In 2015, for example, the U.S. traffic fatality rate jumped 9 percent. And in 2016, it jumped again 5.6 percent, wiping out nearly a decade of improvements. It was the biggest two-year jump in 50 years. The horrendous statistics make it clear that the US has to take a serious look at the car culture and make big changes. #slowthecars This can happen one city at a time. Let’s keep up the good work protecting the city’s most vulnerable road users in 2019, Asbury Park. “The United States is clearly not effectively protecting its children,” the journal’s editor writes. Happy Holidays and A Healthy and Safe 2019! Does it help to keep people walking or on bikes safe if they make eye contact with drivers? Sure, sometimes. So go ahead and gaze at the driver who is barreling through the “Stop for Pedestrians” bollard. He or she might stop. But what about tinted windows, or glare? What about people who are blind? We hear it all the time. “Safety is a shared responsibility.” But it is not. Asbury Park Complete Streets Coalition believes that the larger, heavier, faster road user must be held responsible for looking out for the more vulnerable. Our roads have been, and continue to be designed to move vehicles as quickly and efficiently as possible, at the cost of nearly 6000 pedestrian deaths in 2017. On the 11th day of Safety Myths, my DOT gave to me…Make eye contact! Starting in 2019, the Norwegian capital will restrict the use of vehicles in its city center, following a global trend to make popular tourist destinations more pedestrian-friendly. Can you envision this in the biz district of Asbury Park? Comments collected from the online form, as well as the November 8th City Council Meeting, will then be incorporated into draft designs of the North End Boardwalk area and presented at a public meeting on a future date still to be determined (the City expects to host the meetings in January at a venue to be determined). 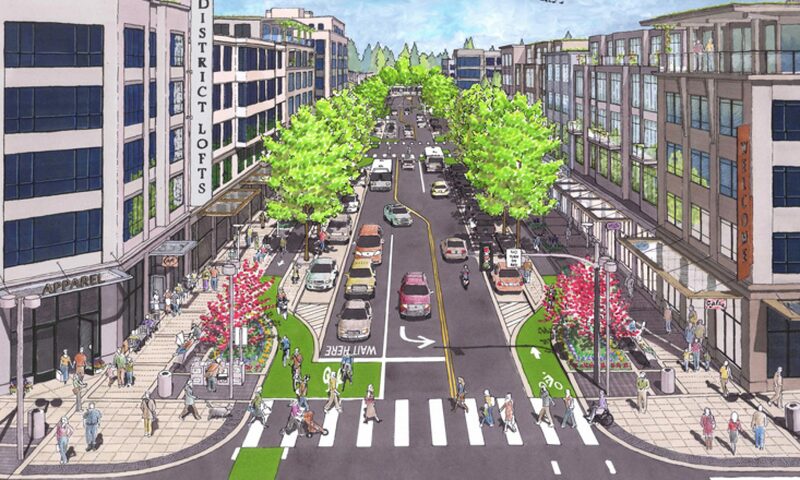 This public meeting will be done charrette-style, where attendees will have the opportunity to interact with the designers and provide immediate feedback on designs. iStar’s TRC application/plans for the pool club (obtained via OPRA). In a nutshell: the pool is on the ground floor; it’s planned to be 6000 sq ft of enclosed space and 18,000 sq ft of space open to the sky. There will be a 2nd floor roof deck that is 5600 sq ft. The north and east sides will be enclosed with a fence (alternating wood/stucco I think); the western side will be a ~19ft grey wall eventually covered with ivy (the wall is 15.5 feet high, and there is an incline of ~3.5 feet). I think the south-facing side will also be the same grey wall, though it looks like it will not be covered with ivy. There will be an elevator to the roof deck (in the southwest corner of the building) and the height from the sidewalk to the top of the elevator bulkhead is 31 feet. 1) Oceanfront Preservation: We want to establish an oceanfront park from 6thAvenue north to the Loch Arbor border. We want no new development east of Ocean Avenue (with the exception of standard park amenities like bathrooms). 2) Boardwalk: We want the boardwalk restored, with a forward-looking vision. We want the boardwalk restored at least to its old height/width, possibly expanded and/or elevated, up to Deal Lake Drive and the meandering boardwalk to go from Deal Lake Drive to Loch Arbor border. We would like to see the boardwalk moved westward beginning at the sewer plant. We want a protection system comprised of dunes and bulkhead. 3) Fisherman’s Lot: We want a solution that: is environmentally sound (respects wildlife habitat, forward-looking stormwater management plan); that is protective (incorporates a dune system); and is accessible by the public. 5) Transparency: We want the reestablishment of the Waterfront Redevelopment Advisory Board. We seek a well-rounded and independent board of overseers comprised respected professionals and community leaders who will trust and challenge one another, and engage directly with the waterfront developers and City management/governance on critical issues facing Asbury’s Waterfront. The City’s Technical Review Committee met to review iStar’s application for its membership-based pool club on Friday 12/14, and the public was present. The next step is for iStar to submit the plans to City Council; Council will then refer the plans to the Planning Board; then the plans will go back to Council for final approval. We do not foresee iStar presenting plans to Council (for the first time) until a January meeting. We will make an announcement when we know the date. **Please note that one of SAW’s top priorities is Oceanfront Preservation – NO NEW DEVELOPMENT EAST OF OCEAN AVENUE. We believe a membership-based beach club is not a good social or environmental fit for the City, and we also don’t understand how it will provide a worthy ROI to iStar. Our goal is to get our City and developers to evaluate and renegotiate the outdated parts of the 2002 WRP to initiatives that will suit our City’s future! In many of the major cities of the world, it has begun to dawn even on public officials that walking is a highly efficient means of transit, as well as one of the great underrated pleasures in life. A few major cities have even tentatively begun to take back their streets for pedestrians. Denver, for instance, is proposing a plan to invest $1.2 billion in sidewalks, and, at far greater cost, bring frequent public transit within a quarter-mile of most of its residents. In Europe, where clean, safe, punctual public transit is already widely available, Oslo plans to ban all cars from its city center beginning next year. Madrid is banning cars owned by nonresidents, and is also redesigning 24 major downtown avenues to take them back for pedestrians. Paris has banned vehicles from a road along the Seine, and plans to rebuild it for bicycle and pedestrian use. 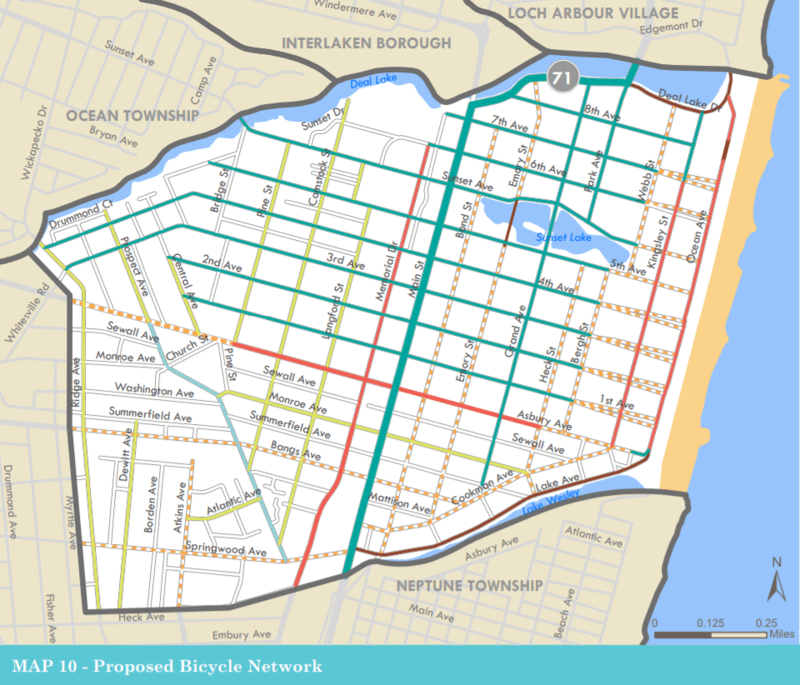 If you’re doing your year-end donations – please remember Asbury Park Complete Streets Coalition. We’re currently in the middle of a bike light campaign. We want to put good quality, bright bike lights on every bike in Asbury Park, especially for those who ride at night and can’t purchase them. Our supply is low. Hope you’ll help! Please send a tax deductible donation to: https://njbwc.org/join/NJ Bike & Walk Coalition. Indicate APCSC on the donation. Or mail a check to 551 Valley Road, Box 140, Montclair, NJ 07043. Write APCSC in the memo line. According to the CDC’s Community Strategies, to increase and maintain necessary physical activity, the Community Preventive Services Task Force (CPSTF) recommends “environmental approaches that combine one or more interventions to improve pedestrian or bicycle transportation systems (active-friendly routes) with one or more land use and community design interventions (everyday destinations).” In other words, complete networks that allow people to be active and safely go about their daily lives can improve the health of most Americans. 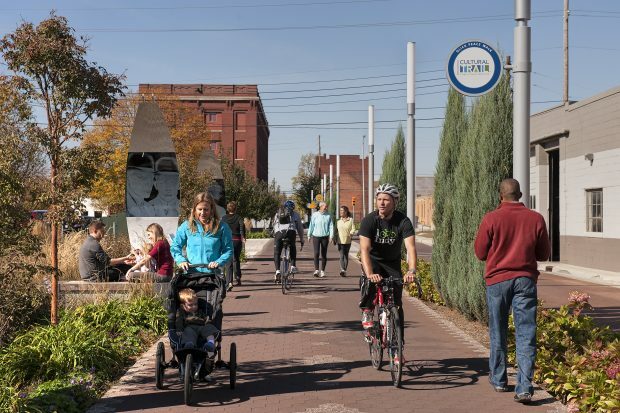 We already have significant data that shows the annual individual medical cost of inactivity ($622) is more than 2 ½ times the annual cost per user of bike and pedestrian trails ($235). There are endless benefits to getting physical activity via transportation. When it comes to new infrastructure, wider spaces and attention to detail allow for more inclusive facilities, and overall, healthier communities.